eLearning Developer & Instructional Designer with a voice for learning! David Doerrier is an experienced Instructional Designer and eLearning Developer with a voice for training. He is familiar with Captivate, Storyline, Articulate and Camtasia and uses Instructional technologies such as ADDIE and ISD to develop and deploy educational and training programs. ​Let's begin a conversation today on how voiceover can help make a positive impression to your customer and impact your bottom line! 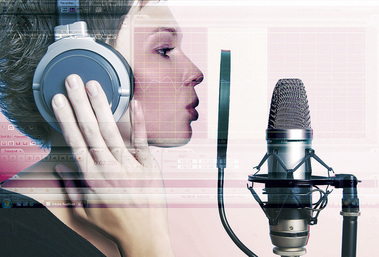 Why add Voiceover to your eLearning? eLearning Voiceover material can be long, dry, and even boring. Since the goal of eLearning is to educate, part of the challenge is to retain the learners attention throughout the lesson. This can be accomplished by adding music and engaging visuals, but by far the most effective method is to add professional voiceover. Why hire professional voice talent? Professional voice talent use their voice as an instrument. They know exactly which notes to hit to grab the learners attention, keep it for the duration of the lesson, and get your message across. Voice talents with a professional home studio will deliver high quality audio, so that the listening experience is smooth and uninterrupted by distracting audio artifacts. Finally, using great voiceover and audio in your eLearning will reflect positively on your organization, impressing your customers with your company’s professionalism. eLearningVoiceover.com is your one-stop for EVERYTHING eLearning! Contact me today so we can get started adding a voice to your online training materials.